There’s nothing more joyful than sewing a dress for your child. Even if it’s a simple and plain dress, the very thought that your child is wearing your own creation is enough to make you feel proud! Are you thinking of buying that beautiful fabric you saw in the shop last week to make a dress for your tiny tot? You can’t use just any fabric for sewing children’s clothing- there are a few things you need to think about first. Children, being children, need special care and attention even when it comes to their clothing. 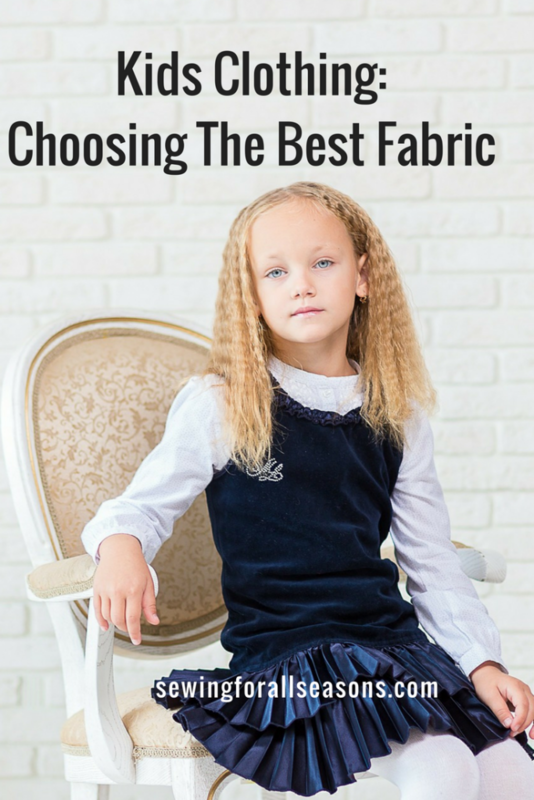 Here are a few tips for selecting the best fabric for sewing your kid’s clothes. Type of fabric: Kids like to run around and play a lot. The fabric you use to make their clothes with should be lightweight unless cold weather requires your child to wear layers. The best lightweight fabric for sewing your kids’ clothes are cotton voile, silk, satin and flannel for colder temperatures. These are not only lightweight but also soft on their delicate skin. Durability: Kids clothes tend to get dirty very fast and hence requires more washing than adult clothing. Thus, the material selected should be durable. It shouldn’t tear very fast nor should it fade because of repeated washing. Cotton is the best choice for a hot and humid climate. For a cold climate, you can go for knit or elastic cloth as it’s not only durable but also stretchable. Color: Color is purely a personal choice. You can choose any bright color for their clothing. It’s best to reserve white and other pastel shades for special occasions as it tends to get dirty very easily. In this modern age, there’s no need to go for the age-old color combination of pink for girls and blue for boys. There’s nothing wrong with experimenting with colors! Climate conditions: The main purpose of clothing is to protect the body from the outside weather. The fabric selected should suit the weather. While natural fabric like cotton and silk are best during summer, you can go for wool, corduroy and velvet for winter clothes. Wool can be used to make accessories like socks and scarves and velvet can be used to stitch dresses and other indoor wear. Corduroy would be best suited for shirts and jackets. Comfort: Some kids may not like stiff fabric like cotton and linen, while other kids find wool very itchy. Choose smooth and slippery fabric like chiffon and satin. Such fabrics may be difficult to sew and might require special attention, but your child’s comfort should be an important factor. 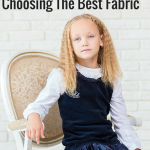 Instead of choosing any fabric that you come across, it’s best to keep the above tips in mind while selecting fabric for kids clothing. 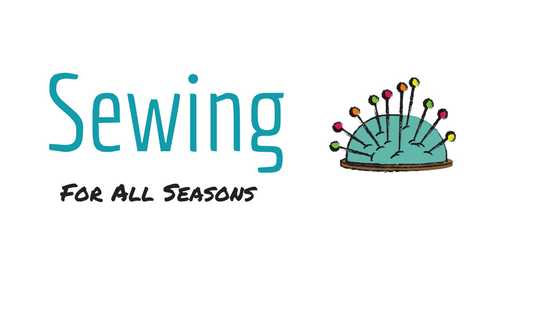 That way, you’re not only sewing a dream outfit but also sewing one that is worth every penny you spend! Like this post? Share it with your friends or pin to read later!